Want to Keep Your Teeth Healthy? Do Check These Top 10 Tips! Keeping teeth healthy is important just like keeping any other body part in its best condition. Despite aware of this fact, still, a large number of people suffer from regular dental problems worldwide. But being dental experts we aim to help you maintain your oral health in the best condition. Hence, we list down the top 10 tips that would help you keep your teeth in a healthy condition. You can keep your teeth healthy by supplying them a rich dose of fluoride, vitamin D, calcium, magnesium, and phosphorus. Chew your food properly and then swallow it. Avoid consuming a sticky and high dose of fiber-rich foods, meats, oils, grains, and vegetables. This will supply the number of nutrients needed to keep your teeth healthy. Clean your teeth twice a day with a soft-bristled toothbrush and fluoride-based toothpaste. It is because fluoride contains compounds that prevent tooth decay. When fluoride combines with calcium present in the tooth, then this offers excellent resistance to damage caused by bacterial infections. Also, fluoride boosts have rich anti-bacterial properties and promote remineralization. Dirt is present not just within the teeth, but also between the teeth. This dirt can lead to food lodgment and eventually tooth decay. This kind of decay progresses faster and can result in severe tooth problems and dental pain. For this reason, it is suggested by most of the dentists to perform floss on a regular basis. Non-vegetarian products are rich in phosphorous. So, if you are a non-vegan then you must consume enough meat that can supply your teeth with needed nutrients. However, if you are vegan then you must take supplements of magnesium and phosphorus to keep your teeth healthy. It is a very important practice that most of the individuals fail to do. If you don’t want to experience pain or problem in your teeth because of dirt and debris then do rinse your mouth well after every meal. Food deposits in the mouth can result in plaque or calculus dental problems. Even it can lead to acidity problem. Hence, make sure you maintain a good dental health by rinsing mouth well after eating. Chewing gums, caramel, and candies are sticky food items that can damage your teeth. Even acidic drinks can result in severe damage to the tooth and result in tooth decay problems. Hence, it would be good if you avoid consuming them completely. Even consuming these items in small quantities can result in major dental issues. Despite being aware of the fact that oral hygiene is concerned not with just cleaning the teeth, but even with cleaning tongue, still, most of the people fail to do this. The tongue is an important part of the oral health. Just like your teeth, even your tongue can retain lots of debris and dust. This can lead to fungal infections and bad breath, such as candidiasis. Hence, make sure you clean your tongue properly after brush. Just like other device and instruments, even your toothbrush is subject to tear and wears with every use. Over time, regular use of toothbrush can result in its damage. For this reason, after a certain time period, a toothbrush is not able to properly clean the teeth. Hence, make sure you change your toothbrush in every 2 months. This will ensure that you have strong gums and teeth. Being a chocolate lover it is difficult to stay away from chocolate. So, if you cannot resist chocolates then you can shift to consuming milk or dark chocolates. Dark chocolate contains less content of sugar. Moreover, it includes compounds that are effective to combat decays. Even, it is better if you consume raw chocolate. This is less processed and even has high levels of antioxidants. 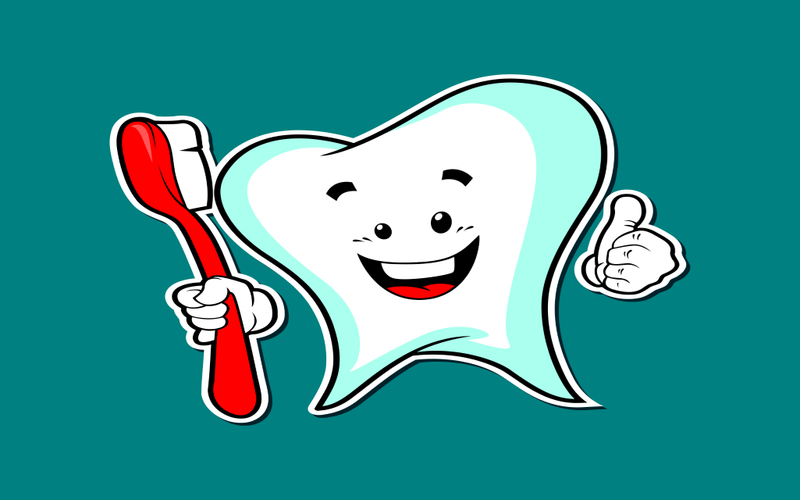 You just have to make the right choice and then you would be able to keep your teeth health intact. Regular dental checkups are important. They help to maintain the overall health. So, do get a checkup planned in every 6 months. This will help early diagnosis of any infection or ailment. As a result, it would be able to treat the problem at an early stage, before the problem gets severe. So, wait no more! Just follow these tips and prevent oral problems. If you are in Hyderabad then visit our clinic and we will help you get rid of your oral problem. Well, the exercises seem ok but, the main obstacle is that I do not have enough motivation. What must I do? When you despise doing it, yet you love finishing it." "Push yourself due to the fact that no one else is going to do it for you. One step is everything.